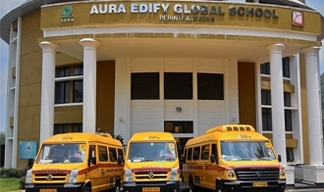 The School has its own fleet of air conditioned buses for transporting the students from different localities to and from the school. Students can avail the facility of conveyance by putting up an application for the same. Vehicles are fitted with GPS facility to update vehicle movement. Automated SMS facility is provided regarding the location and arrival of the vehicles. 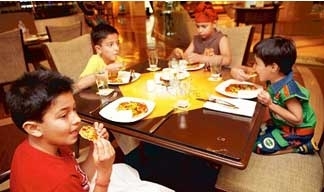 Balanced and nutritious diet is an essential ingredient for the healthy and harmonious growth of a child. School believes in imbibing healthy food habits among the students, for, a healthy mind can reside only in a healthy body. Keeping this in mind, the menu chart is designed in consultation with dietician, for the entire week in such a way that it not only makes a healthy diet but also exposes the child to different cuisines. The school provides a hot vegetarian/non vegetarian breakfast and lunch for all students. Snacks are also served in the evenings. 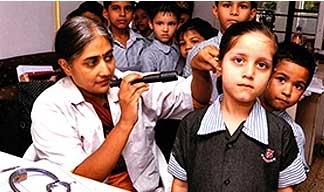 Periodic medical check ups are arranged in the school. There is a health initiative by Kims-Al shifa with Aura for the health need of students. The service of a qualified nurse and equipped infirmary is also provided to children who get ill. Students also are encouraged to register for the group insurance provided in the school.